Somehow the Lightning cable connector tip snapped off inside my girlfriend’s iPad. At first, it seemed impossible to get the broken piece out of the slot since there is nothing to grab onto and the opening is terribly small. A Google search came up with several possible solutions, some of which suggested super-gluing the broken piece to a cut ziptie or wires. I tried the ziptie+glue, but just couldn’t get a strong enough bond to yank the piece out. (On a side note, I didn’t have the same issue gluing my fingers together! ;-) Of course, you also have to be very careful not to get the glue elsewhere and ruin the connector. I do not recommend using glue. What worked for me involved something much more simple: a baby diaper safety pin. You can try to use something like a sewing needle or even a thumbtack, but believe me, the diaper pin works the best because they are long, strong and you can comfortably put some needed pressure on the point. I found a pack of them for a couple bucks at the grocery store in the baby diaper aisle. You’ll probably need more than one as they tend to get dull and bend as you use them. I also suggest you get some good tweezers that have a small pinching point. The hole is very small so larger tweezers will be of little help. One of the commenters used nail clippers to grab pieces sticking out. Depending on your circumstances, this might work well if you don’t press too hard and clip the piece off. Before you start, it helps to understand the layout of things. First off, the contacts for the connector on the iPad are flush against one of the long sides of the hole. 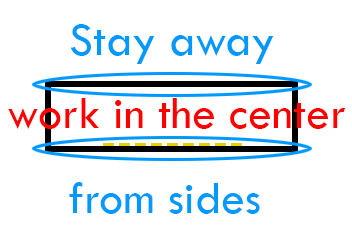 As such, you want to stay away from the long sides and work in the center of the hole. You don’t want to accidentally mess up the contacts. The piece you are digging out consists of two main pieces: a metal outer frame and the interior leftover contacts section. Most of the interior is non-metal plastic except for the tiny contacts and wiring. You want to dig out the interior part of the connector first. The metal outer frame is fairly rigid and will just stay in place. Start with one end and stab it with the pin. 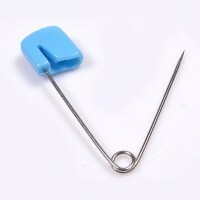 Try using the pin as a lever and see if the piece will just pop out. Mine did not do that, but depending on how hard it is lodged in there, this might work. 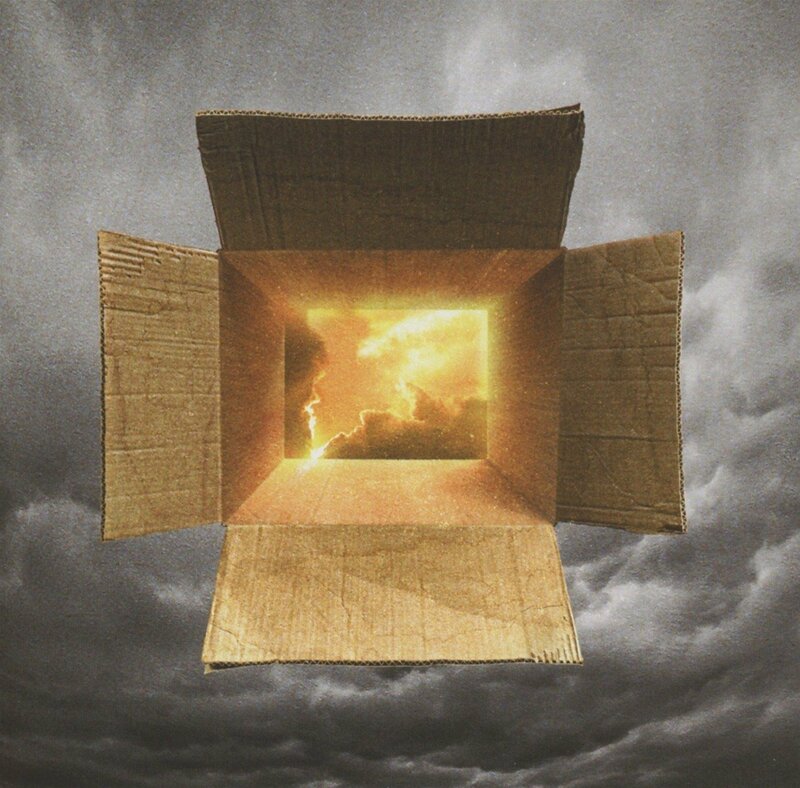 Switch to the other side and try again. If this doesn’t work, start digging away at the material from one side and alternate between sides. You’ll get bits of plastic and also the metal contacts from the connector. Use the tweezers to remove the debris. Again, be careful not to get too close to the long sides where the iPad’s contact are. Note that this is a somewhat slow process. I would guess it took me 10-15 minutes of digging. Eventually, I got all of the interior part out and was left with only the outer metal frame. If you look at the picture to the left, you can see a little indentation on the side. There is one on each side of the connector and the iPad has tiny latches that hold the connector in. What you have to do and jam the pin in deep at the very end and pry one side of the U-shaped frame in. It is surprisingly strong and, thus, may take several tries, but it will bend in eventually. You may have to bend the other side before the piece comes out, but the second side will be easier. Well, that’s it! I was certain the iPad was a lost cause, but fortunately I didn’t give up! Good luck! 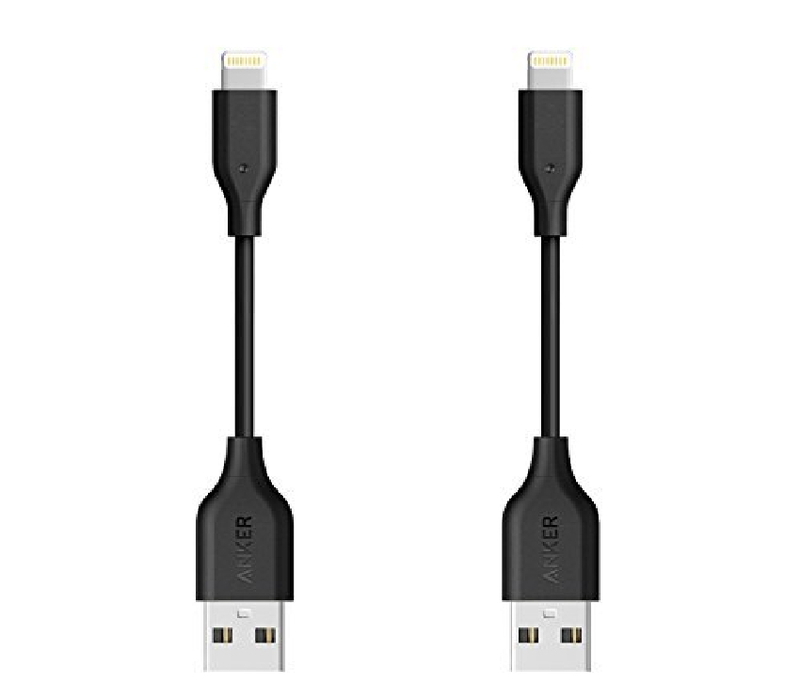 While we are talking about fixing cables, I thought I’d take this opportunity to share some of my favorite type of Lightning cables. 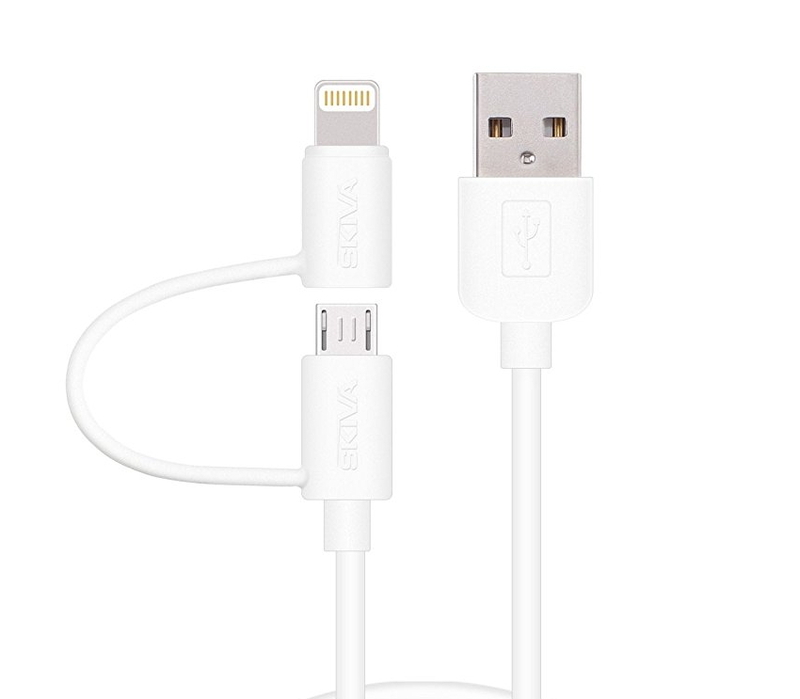 Lightning and USB Micro in One Cable! All of us probably have more than our share of non-Apple products that need to get charged. 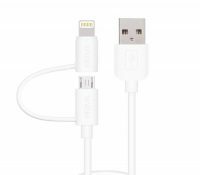 So, instead of always having to have both a Lightning cable and a micro USB cable handy, these 2-in-1 cables let you get away with just one! They are wonderful, particularly in the car where my Android carrying passengers often need some juice. 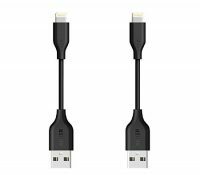 These are my go-to type of cables. Sometimes, you just don’t need three feet of extra cable messing up your nightstand or car. That’s where these short Lightning cables come in handy. I particularly like them on small portable chargers, so I can charge my phone in my pocket or hold it in my hand without a yard of extra cable dangling around. Well, I hope you found that helpful. Check ’em out. You’re welcome Ruth. Glad to be of help. I tried the super glue method and unfortunately I think I got super glue on something I wasn’t suppose to. Is there any hope? Any advice would be amazing! Hard to say. I would try digging out the connector area using something substantial like a sewing seam ripper. You’ve got nothing to lose. Just note the areas to stay away from as shown in my post. Good luck. Thank you so much! At this point I was ready to give up but after seeing your post it helped me become more motivated, and with a sewing needle I found, with a little bit of work, managed to get it out! I am very greatful that I didn’t break my iPad and now it’s charging with a new charger! You’re welcome Rebecca. Yeah, I think just understanding the inside of the connector gives you more confidence. Great job! You can’t fix wires inside the cable, but can splice out the damaged section and solder the good parts together. If the damage is at the Lightning connector side, cutting and resoldering the wire to the lightning connector is possible but requires a significant amount of soldering skills. Once the work is done, it is very difficult to make the finished product look anything but ugly. 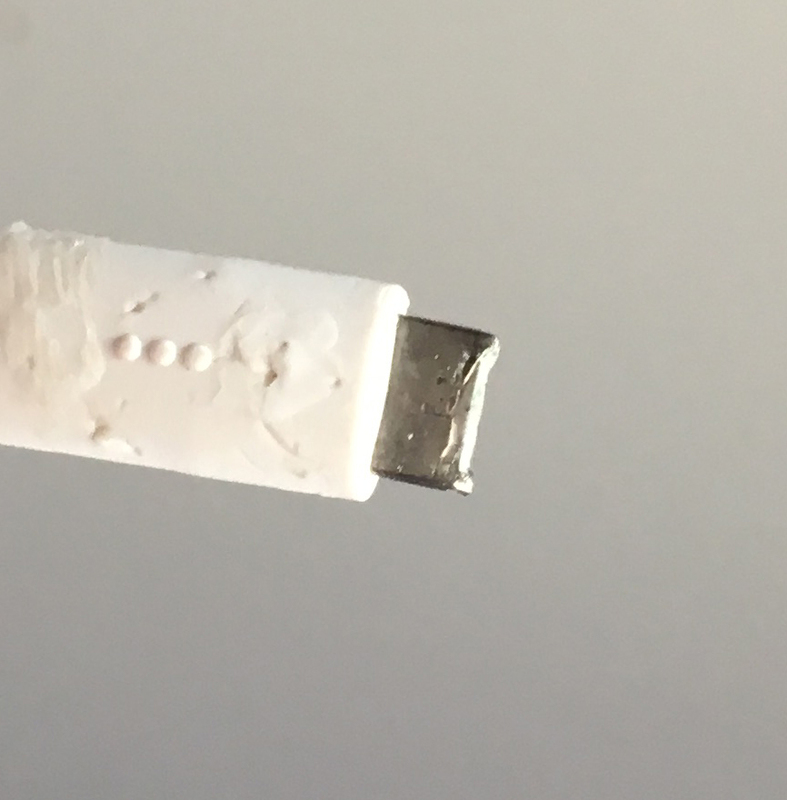 At the low price of a new lightning cable, it’s usually more effective to protect the cable instead of repairing it. Ah the “hammer method”. Nothing like some brute force LOL. It’s really about understanding what you’re dealing with. Glad it worked for you Shonda. Thank you so much for posting this! My charger tip had broken off in my iPhone, and I was prepared to have to replace the damn phone, but thanks to your post, I was able to pop the tip casing off with a bobby pin! I stabbed it as best I could, and then dragged it up the side, and it popped out and slapped me in the cheek! I am now charging my phone with 5% battery and climbing! Your post saved me $800!!!!! Thank you! Yesssss! Like Lisa, less than 5 minutes. 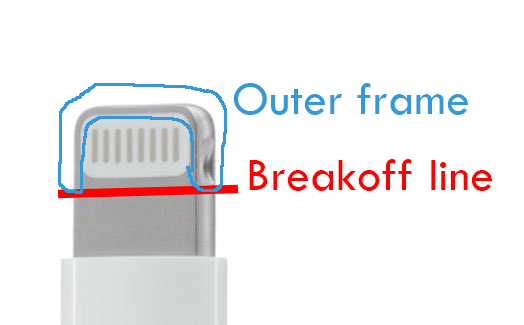 I took a strong light to see inside the charge port to compare my iPhone (device with the issue) with my iPad to see what I was contending with. Tried the diaper pin trying to pierce the metal in the middle at the deepest part of the port. Closer inspection, I could see a “ridge” on the shorter end side where the charge bracket broke off. I took a careful jab at it and it dislodged immediately. Turned it upside down and the piece fell right out. Grateful for your post, THANK YOU!! Incredible! I thought my phone was a lost cause and figured – Why not try? What more damage could I do? I’m so grateful for your tip! It took me less than 5 minutes and saved me a fortune. I can’t thank you enough!!!! All the best to you! Glad to be of help Lisa. Your welcome.